Due to the way we get this product from our provider, you would see 2 charges in your credit card. One is the Face Value Amount from Cricket; the other is the $3 Processing Fee from CallingMart. CallingMart Points are not applicable with this product. 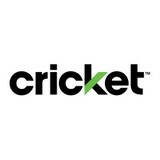 Cricket PAYgo Refill Minutes: Compatible with all Cricket PAYgo PAY AS YOU GO Prepaid Wireless plans. If you are uncertain as to what type of Cricket PAYgo Refill Minutes Plan you may have, please call our professionally trained customer service representatives toll-free at 1-877-6-Get-PIN (1-877-643-8746) from 10am to 10pm EST 7 days a week or visit our Wireless Prepaid FAQ section or Email us at [email protected]. The Cricket PAYgo® logo and the Cricket PAYgo® product images are registered trademarks of Cricket PAYgo®. CallingMart is in no way affiliated with Cricket PAYgo® or any other entity for which a logo or name may be present. CallingMart refers to these logos and or names solely for the purpose of demonstrating the products and or services that it resells. - For technical assistance, please call 1-800-CRICKET.